Earlier this year Chinese smartphone maker Xiaomi announced it had established an in-house camera division. Now it seems the initiative is bearing its first fruits. Xiaomi co-founder and President Lin Bin has teased a smartphone with 48MP camera module on the Chinese social media platform Weibo. 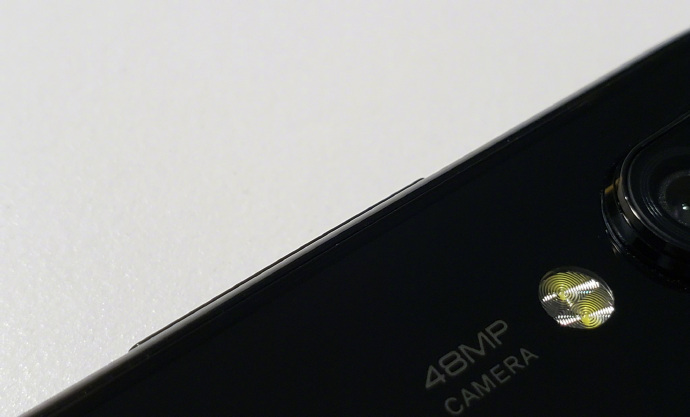 The image he posted shows a close-up of a rear camera with a ’48MP camera’ label next to the lens. Bin says he has used the phone for a few weeks and that it will be released in January. That’s not an awful lot of information, but it means the upcoming Xiaomi phone will feature the highest pixel count ever on a mobile image sensor. Nokia’s 808 PureView juggernaut came with a 41MP sensor and the much more recent Huawei Mate 20 Pro features a 40MP quad Bayer arrangement. Like the Nokia 808 PureView and Huawei Mate 20 Pro, the unreleased Xiaomi phone is likely to use its pixel count for high-quality digital zooming, pixel-binning for lower noise, and other computational trickery, rather than outputting enormous image files. The sensor in question could be the Sony IMX586 quad-Bayer model which was announced in July. At 1/2″ it’s large for a mobile sensor, but due to the high pixel-count, individual pixels still only measure 0.8µm. Samsung’s Bright GM1 is another option with very similar specifications. It’ll be interesting to see if the new Xiaomi will solely rely on the power of the 48MP sensor or add additional sensors, for example for tele, super-wide-angle or black-and-white shooting into the mix. We’ll know more in January.